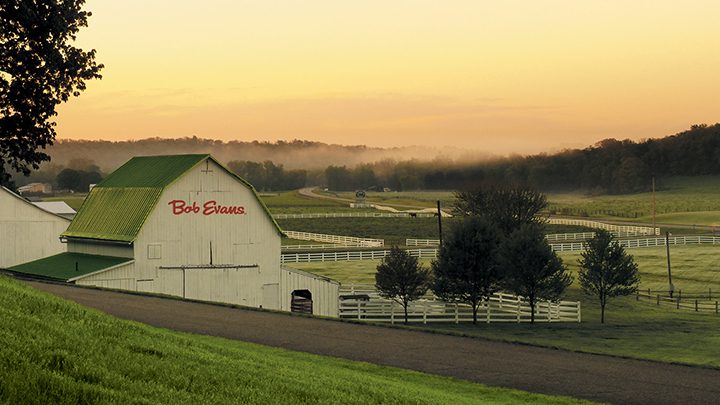 Bob Evans, the founder of our company, lived on the Bob Evans Farm in southeastern Ohio for nearly 20 years. He and his wife, Jewell, raised their six children in the large brick farmhouse known as the Homestead. Now on the National Register of Historic Places, the Homestead was where the Evans family opened The Sausage Shop in their front yard, which later became the first Bob Evans restaurant. The spirit of hospitality is deeply embedded in our company’s history. Now that Bob Evans Farms product offerings have expanded, so has our network of farms around the country. By integrating wise farming techniques with the latest technology, this vertically integrated system allows us to better serve our customers by providing readily available, top-quality products. Our refrigerated storage allows us to monitor and maintain the freshness of our products so that every one that leaves our facility carries the finest flavor and texture that our customers have come to expect.